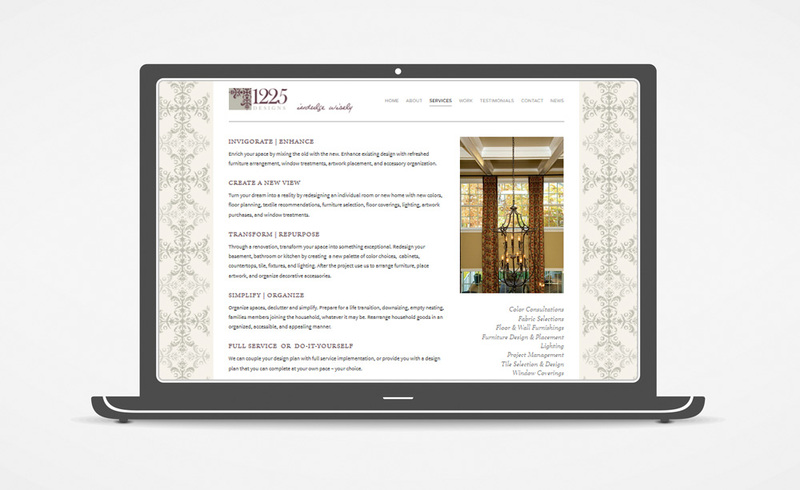 We redesigned this site for client K. Interiors earlier this year. Details of the rest of the rebranding effort to follow. 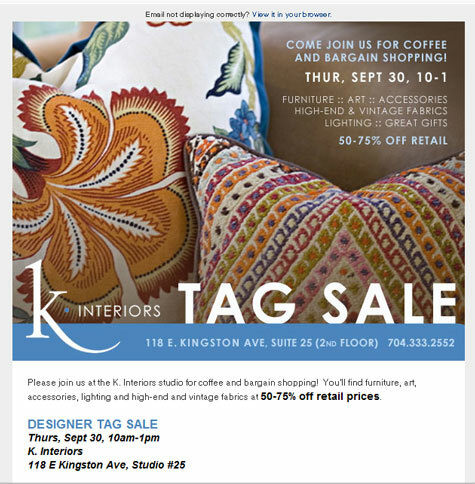 I am super excited about today's launch of a new blog and email newsletter for the talented interior designers at K. Interiors. 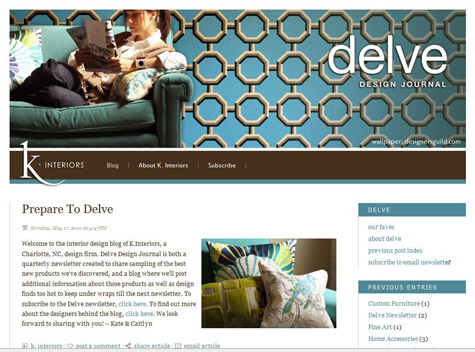 Delve Design Journal is the name of both their new blog and a quarterly newsletter in which they'll share their great design finds. Kate Newman and Caitlyn Miller have outstanding style and a nose for cool stuff. The blog and newsletter allow them to showcase recent work and unique new products. The beautiful photography was contributed by Ashley Sellner. Blog posts feature content from the newsletter, plus additional images, and they will make other posts between newsletters. 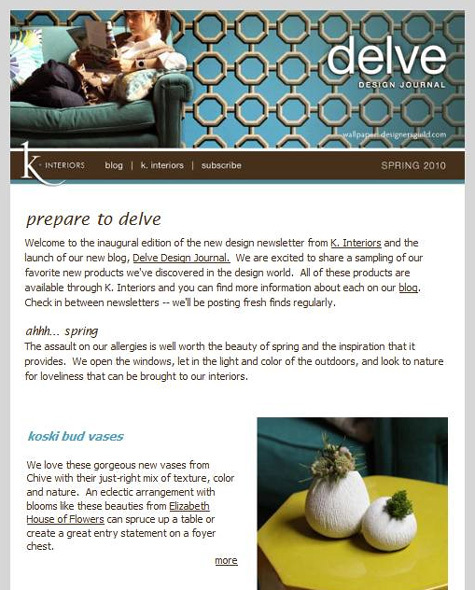 The newsletter features the same header and similar styling.